Jenson Button believes all drivers should pay the same amount for their super licence to race in Formula One. Under current regulations, drivers have to pay different amounts depending on the points scored the previous season. With the teams' entry fees also now having had a dramatic increase based on their points total, Button says he feels it's wrong that drivers are expected to pay different amounts. 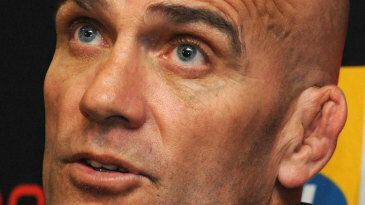 "Personally I don't feel that we should be paying different super licence fees for different drivers and different point situations," Button said. "I mean, when you get your licence to drive on the road, because you do more miles you don't pay more for it, do you? And you don't pay more for a licence in any other category because you've got a better car or whatever, so it should be a flat fee." 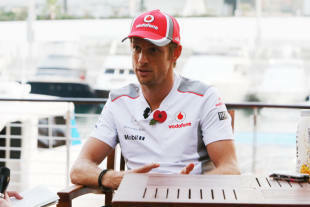 Button also said it had been costly for him to become world champion due to the resulting cost of his super licence. "When I won the championship in '09 that was the worst year to win a championship because that's when the super licence went crazy and I think I spent over a quarter of a million Euros on my licence to race that year!"